A story of a homeless dog and a lonely homeless boy highlights the lives of pets in urban communities. Their struggle to survive in the city sees them tackle many obstacles and make important life choices. The story is told through the eyes of the dog Angel, with innovative puppetry, beautiful singing and audience participation. A Dog’s Life broaches the specific needs of domestic animals in terms of their day-to-day care through dance and tri-lingual song. The play delivers important messages about the practical aspects of animal welfare. A Dog’s Life is 45 minutes long and suitable for Grades 1-3. An accompanying drama skills workshop is also available. 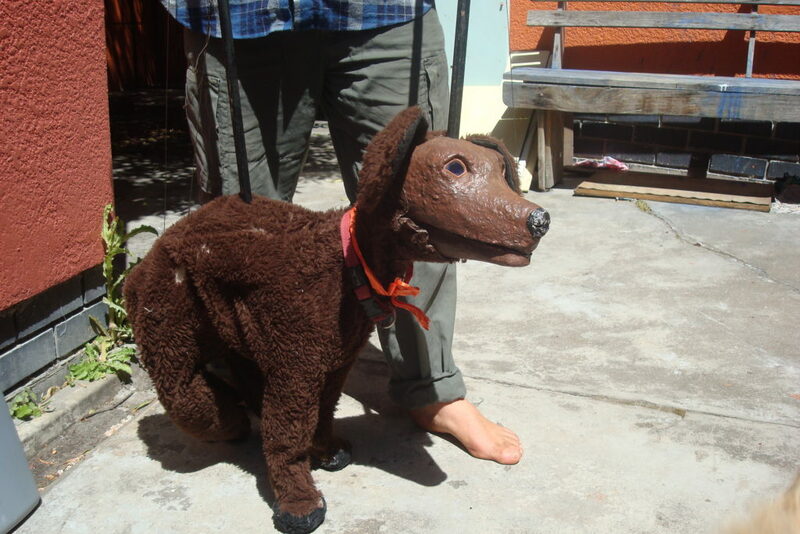 As a response to increasing concerns about the plight of urban domestic animals, Jungle Theatre Company developed A Dog’s Life, which was adopted by International Fund for Animal Welfare as part of their Companion Animal Programme. It was rolled out through twinning programme at the Baxter Theatre in 2006 – 2008 and toured communities in Soweto in 2007 and 2008. Recast in 2010 with 6 Laduma Jungle trainees A Dog’s Life was performed in 2010 Mdzananda Animal Clinic, Camp Footprints and other community events. In 2012 and 2013 the show went out on the road to schools and communities, including Paternoster, with IFAW and to Stellenbosch with Department of Agriculture. In 2014 it was rolled out as a twinning programme at the Baxter and another twinnings programme just took place this June 2017 at the Masque Theatre. Siyawandisa Badi, Seiso Qhola and Joce Engelbrecht.